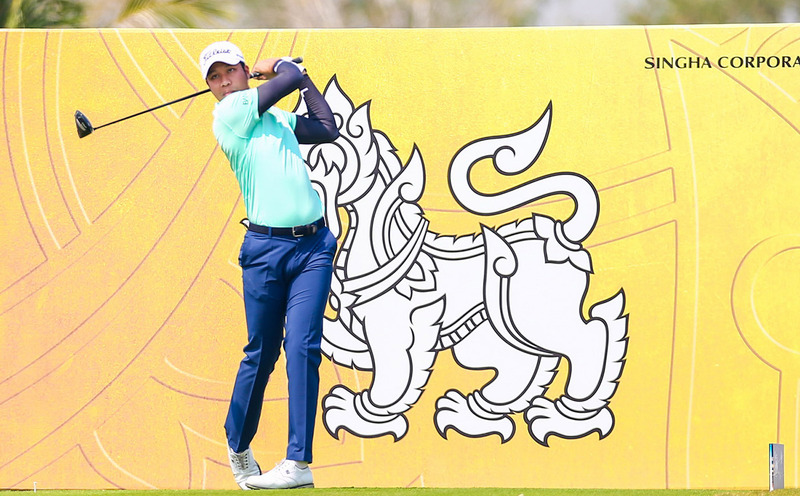 Danthai, whose two ATGT victories include the Singha E-San Open 2017, fired a 4-under-68 in the third round of the second leg of the All Thailand Golf Tour 2019 and stayed on 15-under, two shots ahead of first-round leader Poom Pattaropong, who made a third round 69. 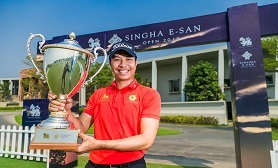 “Overall, I am happy with my performance,” said overnight joint leader Danthai, who has won the Boonchu Ruangkit Championship 2016 and the Singha E-San Open 2017. Overnight joint leader Pavit Tangkamolprasert, who is also searching for his third ATGT win, posted a 71 and stayed tied for third on 12-under-204. Sadom Kaewkanjana, hunting for his second ATGT title, posted a 66 to stay tied 4th on 11-under with Johannes Veermann of USA (66). Chaiphat Koonmark (71) was 6th on 10-under while Poom Saksansin (71) and Thanyakorn Khrongpha (71) were on 6-under. Defending champion Rattanon Wannasrichan, who was the ATGT’s money winner last year, fired a 69 for a 4-under. The winner will get 450,000 baht and seven world ranking points.